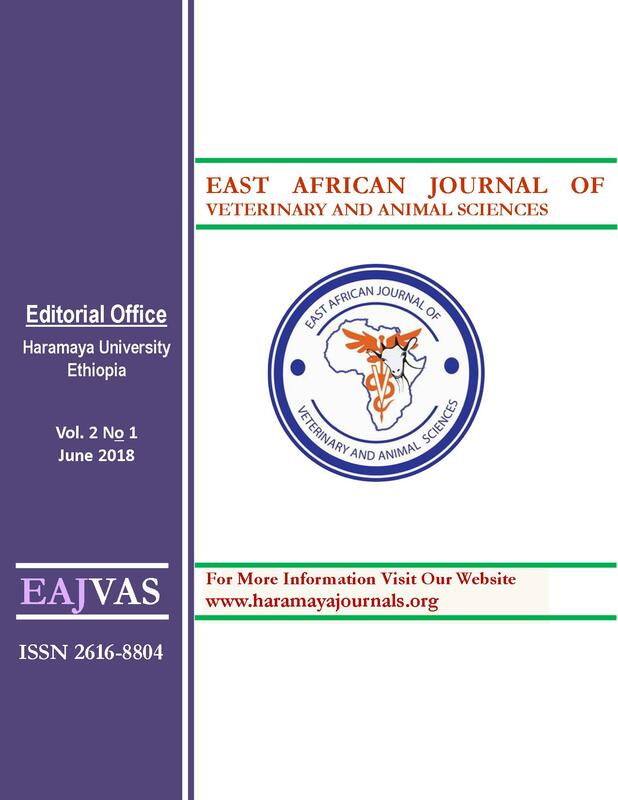 A cross-sectional study was conducted from October 2009 to March 2010 in Boke, Darolebu, Kuni, Mieso and Tulo districts to estimate the prevalence of bovine mastitis, identify associated risk factors and isolate the predominant bacterial agents. A total of 1019 lactating cows were examined clinically and using California Mastitis Test (CMT) for subclinical mastitis. Standard bacteriological techniques were employed to isolate the bacterial agents. A total of 393 (38.6%) cows were positive for both clinical and subclinical mastitis. Among the risk factors, age, parity, and lactation stages were not significantly (p>0.05) associated with prevalence of mastitis. However, hygienic status of animals was associated with the occurrence of mastitis (p<0.05). Both contagious and environmental bacteria were isolated from milk samples collected from mastitic cows. The predominant bacteria isolate was Staphylococcus aureus with proportion of 14.1% followed by S. agalactiae with isolation proportion of 13.2%. E. coli and S. intermedius were the third predominant isolates with a rate of 10.9% for each. Among the seven antibiotics tested, gentamycin, amoxicillin, oxytetracycline, ampicillin, and cloxacillin were effective, whereas streptomycin and penicillin showed poor efficacy. The study revealed that mastitis is significant problem of dairy cows in the study areas. Hence, awareness creation among dairy farmers should be made about the impact of the disease; and training on hygienic milking practice and treating of subclinically infected cows should be given.